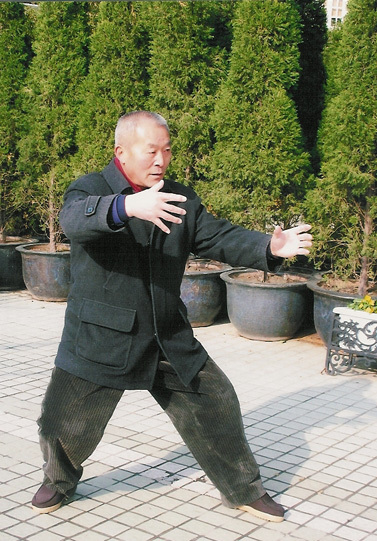 You would think, that Taijiquan being known almost universally as the "slow motion" martial art, that actual taijiquan push-hands practitioners would consider slowing-down a self-evident method. But most don't. I could make a long list of all the reasons for practicing Taijiquan slowly, but I'm not going to do that. I'm just going to talk about one reason. There are probably a hundred ways of practicing push-hands. Judging from Youtube videos, most people use push-hands to practice applications. I think that's fine, but applications can just as easily be taught as a separate subject. Push-hands is better understood as a competition. There are many continuous linking set routines in push-hands, the main purpose of which is to make sure both people have continuous power (jin) while moving through various ranges of movement. When one person's power is broken they lose; however, if their partner compensates for them, then the routine can continue repeating itself. If either person is trying to win, it is not possible to do a continuous linking routine because as soon as one person's power is broken, the other must act. In spontaneous push-hands, there is no routine, just a set of rules or parameters. The two most common rules are no punching and no moving your feet. Anyway, last year I took a workshop with Master Yun Yin Sen and George Xu together. At one point about 6 of us were taking turns pushing hands with Yun Yin Sen. These were all people who had being practicing for years. He was pushing with each person for about 20 seconds and then he would push them out and call for the next one. But when I pushed with him he never tried to push me out. Like 5 minutes past and I started to feel guilty that I was monopolizing him so I just stepped out. Then everybody got another 20 second turn and it was my turn again. The same thing happened.Â We pushed for about 5 minutes until I gave up, in order to give someone else a chance. What was happening? Every time my fellow students got in a tight spot, they tried to get out of it by adding something; either speed, technique, power or aggression. Every time I got in a tight spot I simply slowed down. Master Yun Yin Sen would always respond by also slowing down and giving me a way out. We could practice forever like that. Even if you are practicing with a superior opponent who wants to beat you, still the appropriate response when you get in a losing situation is to slow down and give all your attention to understanding/feeling what your opponent is doing. I don't think I need to point out that this might be a good strategy for living, in general. When things are challenging or full of conflict sometimes it is a good strategy to slow down. Obviously that doesn't hold when you're crossing the street and the light changes color. If any of my readers have ever tried bullfighting, I'd be curious to know if they think slowing down could be a good strategy there.